I enjoyed the wine yesterday with an excellent roast free range chicken. How wonderful such simple food can be (as opposed to battery farmed, “industrial” birds)! The color of this wine made it look younger than its years. The relatively understated nose was very Médoc, with ethereal blackcurrant and pencil shavings. 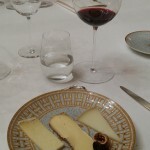 The wine did not have the richness and volume of a top-flight wine, but was very satisfying, perfectly in keeping with its status as a “cru bourgeois exceptionnel*“. 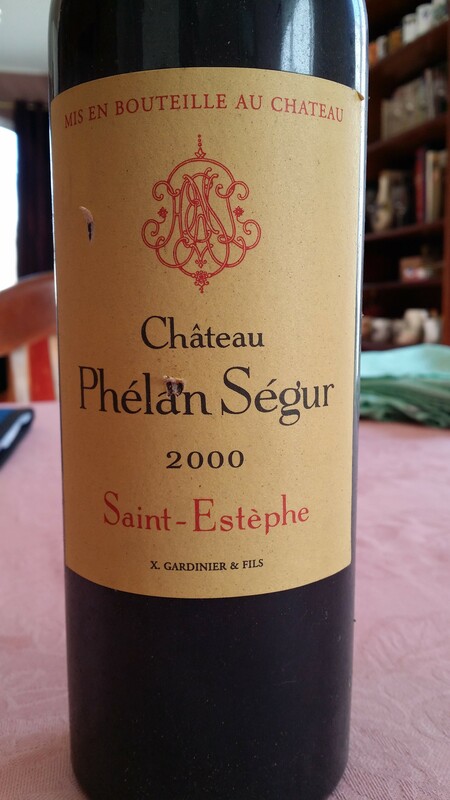 There was decent tannic grip on the finish, but all-in-all, this is a good time to drink 2000 Phelan Ségur – in answer to that eternal question in Bordeaux of when to find the best balance between fruit and tertiary characteristics. 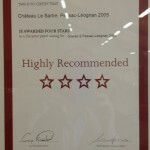 It also confirms that mid-range 2000 Bordeaux wines are ready to go. I served the wine blind to the wife. She asked: “Bordeaux”? Yes. Further rumination. “Saint-Estèphe”? Yes. More swirling, sipping and wrinkling of brow. “2000”? Yessiree. I must say, I was awfully impressed even if she didn’t get the château right (she plumped for Meyney). * The “cru bourgeois exceptionnel” ranking disappeared in the most recent classification of the crus bourgeois, but apparently they will be bringing it back next time around. Posted in Uncategorized on October 27, 2014 by AlexR. Day two was spent exclusively in the Pessac-Léognan appellation. 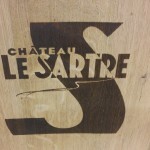 My first stop was at Château Le Sartre in Léognan. 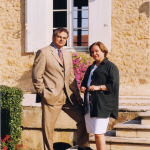 This estate originally belonged to the Perrin family of Château Carbonnieux and since 2004 has been managed by Marie-José Perrin-Leriche and her husband, René Leriche, assisted by the Burgundian Jules Guyot. 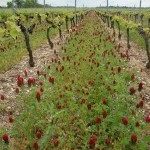 The 36 hectares are mostly planted with red wine varieties (12 ha. Cabernet Sauvignon, 12.7 ha. Merlot, and 1.1 ha Cabernet Franc), but there are also 10.2 hectares of white wine grapes (8.2 Sauvignon Blanc and 2 ha Sémillon). The vines are an average age of 20 years old. 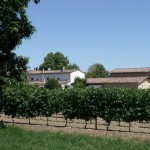 The main 26-hectare plot is located in a single block south of Fieuzal and east of Domaine de Chevalier. The terroir here is ideal for Cabernet Sauvignon and Merlot. Unfortunately, it is also prone to frost damage, and Le Sartre produced only a quarter of a normal crop in 2011… That is why you see wind machines here, like in California. A second 7.6 km plot, one km. away, between Fieuzal and Malartic-Lagravière, as well as a small 1.7 hectare plot near Carbonnieux, have more early-maturing terroirs and are less subject to frost damage. I went from Le Sartre to Ch. Smith Haut Lafitte, where a major tasting of red Pessac-Léognan wines had been organized. M. and Mme Cathiard could only greet us at the end because an Air France strike had prevented them from arriving any earlier. Smith Haut Lafitte is geared up to receive visitors in an almost New World way, with knowledgeable staff and facilities suited to tours. 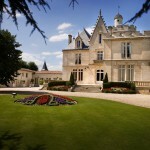 The château’s improvement over the past 20 years is one of Bordeaux’s great success stories. Palate: shows candied fruit, but does not develop a great deal on the palate. Marked acidity, but still shows good balance. Palate: chewy with nicely-grained tannin and lively acidity. Shortish aftertaste with liquorice overtones. Good to drink young. Palate: lovely balance and lip-smackingly good. Great acidity and cherry-vanilla flavors. Not a show stopper, but a wine lover’s sort of wine, with a long aftertaste and just the right amount of oak. Palate: rich, a little weak on the middle palate and with a certain dryness on the aftertaste due to barrel ageing. However, I would like to give this wine the benefit of the doubt, and hope that everything comes together well in a few years’ time. Nose: lovely soft cherry-vanilla aromas. Irreproachable. Palate: lively acidity and good tannic texture. Digestible sort of wine. The oak should even out, but it contributes to a dry finish at present. One of the better wines at the tasting. Nose: great, typical Graves with a vivacious, rich, fruity bouquet but too much oak comes through at this stage. 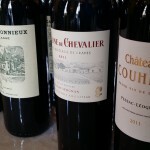 Palate: Round, big, full-bodied, with a velvety texture and a nice lift. Question mark about the oak. Palate: round, juicy, up-front attack with good acidity to follow. Well-made wine with a great tang on the finish. Although it lacks richness and voluptuousness, it is still very good with a lovely cherry lozenge finish. Thank goodness the oak is low-profile. One of the best wines in the tasting. 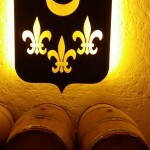 Palate: light and fluid, uncomplicated, with an aftertaste that adds seriousness to the wine. Nose: fine fresh forest fruit bouquet, beguiling, lovely. Mercifully not too much oak, but some roast coffee aromas. Palate: plush and melts in the mouth, but underpinned by good acidity. Some (but not too much) oak on the long, textured finish. Traditional, however not one for the long haul. Nice discovery and one of the best wines. Nose: attractive and classy. Sweet plum and berry fruit. Palate: mouth-filling, but falls down somewhat on the middle palate. Too much oak on the aftertaste. One has the impression of prime fruit that has seen too high a percentage of new oak barrels. Nose: fine bouquet. Deep, inky, with somewhat unexpected honey nuances! Palate: starts out round, and plush, but proves to be weak on the middle palate. The oak ageing is over-ambitious. Nose: sweet cedar and slightly confected fruit. Very good and concentrated. Palate: Starts out nice, rich, and supple going on to show good acidity . Fine tannic texture. Great to see Bouscaut on the upswing and this was one of the best wines of the tasting. Palate: soft, a little dilute to start off, but segues into a wine of character with a fine aftertaste. Elegant tannin and oak under control. Palate: melts in the mouth, then proceeds to follow through well with authority and good acidity. Nice oak background and a good finish. Thirst-quenching wine of distinction. Recommended. Palate: serious wine. Great balance. Very representative of its appellation. Velvety texture. One of the best wines. Only a certain diluteness and weakness leading up to the aftertaste keep it out of the very finest category, but nevertheless a wine to reckon with. Palate: mouthfilling with good acidity, as well as nice texture and length. A tad dry, though. Palate: rich and melts in the mouth, but provides a fresh fruit tang on the aftertaste. Sensual. One of the best of the tasting. Palate: tightly-knit, superb balance, with deep dark fruit flavors. Wonderful, and my finest score. Palate: mouthfilling and delicious, neither over-extracted nor over-oaked. Touch dry on the finish, but this is indeed a fine wine. Palate: light on its feet and refreshing due to lively acidity. Superb, a sort of sublime luncheon claret. Fine, textbook Graves. 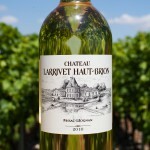 After the tasting, I was invited to a lunch at Château Larrivet Haut Brion hosted by Emilie Gervoson, Bruno Lemoine, and his daughter, Alice, who runs the boutique. The Gervosons made a fortune in jams and fruit-based desserts and still own the family firm (Andros). Bruno Lemoine was formerly manager at Ch. Montrose, and responsible for making the legendary 1990. 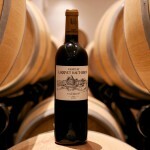 He has been in charge of Larrivet Haut Brion since 2008. Michel Rolland is the consulting enologist. Bruno has changed things considerably and is totally open to new methods, including “concrete eggs”. Our dinner conversation was free-wheeling and far-ranging, including such controversial subjects as Isabelle Saporta’s book, Vino Business. The wines (2010 white and 2006 red) showed very well and dynamic changes taking place at present bode well for this superbly-located estate. Palate: fuller and richer than expected after the nose, and showing good balance. Ripe, fresh, and clearly one of the better wines at the tasting. Palate: silky and “sweet”, with good oak. 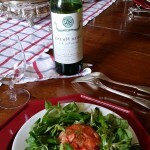 What the French call “un vin de gastronomie”. Persistent aromatics. Not overdone in any way, tremendously well-balanced and refined. Tied for first place in my notes, and far from some of the overdone versions of SHL I’ve encountered in the past. Congratulations! Palate: round and more of a pronounced mouth feel than most of the other wines. Svelte and dry, with citrus overtones. Quite fine. Palate: mouthfilling with resinous nuances sliding into a beautiful mineral finish. Seriously good, and tied with the Smith Haut Lafitte for wine of the tasting. Palate: lanoline, vanilla, and clove going into an unexpectedly pronounced mineral finish coming into its own after a little flabbiness on the middle palate. This should not imply this was not a very good wine, because it was. Between this white and the red I tasted the day before, I applaud the renaissance at Bouscaut! Nose: seemed a bit chemical and technical. The bouquet is fresh and there’s some lemon there, but it lacks definition. Palate: good, soft attack but empty on the middle palate. Penetrating vibrant acidity. Nose: fresh, but closed in at this stage. Palate: fairly mineral with an acid edge. Good, but needs to age. 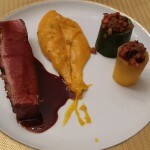 Palate: round, commercial style. Little obvious and with a salty finish. Palate: softness here as well for this elegant wine that segues into a mineral aftertaste showing the intelligent use of new oak. A really nice discovery for me. 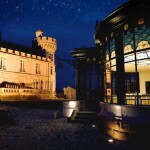 The day ended with a gala dinner at Château de Fieuzal for a group of about 100 or 120 people. This was all of a 10 minute walk from Ch. de France and it was a joy to go there on foot and admire the ripe grapes on the way. I enjoyed a memorable evening with Véronique Bonnie-Laplane of Malartic Lagravière, Fabien Teitgen of Smith Haut Lafitte, Francis Boutemy of Haut Lagrange, Rémi Edange of Domaine de Chevalier, Emmanuelle Jeannerot of the Pessac-Léognan Syndicat, Philippe Miecaze of Ch. 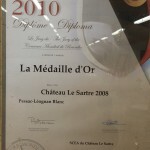 de Léognan, and an English Master of Wine student. Conversation was lively and the wines were wonderful, including Smith Haut Lafitte, Malartic Lagravière and Haut Bailly, all from the 2000 vintage – and nowhere near as backward as one might expect. 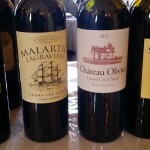 Posted in Uncategorized and tagged Bordeaux, Graves, Pessac-Léognan on October 23, 2014 by AlexR. My blog is only about 6 weeks old and I’m receiving all sorts of advice about how to do things right :-). I was told, among other things, that it is best to keep posts to about 300 words. Well, sorry folks, this has proved absolutely impossible with the present post, so please bear with me. At least I’m dividing it into two parts! I’m not going to go over all the statistics and basic information about the Graves, because you can find this easily enough in reference books and on websites. 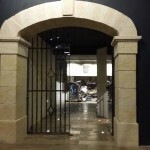 But I would like to add a few comments you don’t always see… First of all, the Pessac-Léognan region made a deliberate effort to “secede” from the larger Graves region in 1996 to form its own separate appellation. As you can imagine, this created some hard feelings at the time… So, it was especially heartwarming to see Dominique Guignard of Château Guignard representing the Graves AOC and Laurent Cogombles of Château Bouscaut representing the Pessac-Léognan AOC working together to promote their wines. I was part of a group of about 20 people from several countries invited by the syndicats viticoles (now called Organismes de Défense et de Gestion) of Graves and Pesssac-Léognan to spend a day in each appellation. Even though I live in Bordeaux, I gladly accepted the offer of accommodation at a wine estate to avoid the issue of drinking and driving. 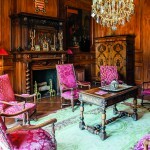 Château Seguin is managed by Denis Darriet, an intense man whose previous career was creating exquisite jewelry in Paris for some of the world’s wealthiest people. Denis is bundle of energy and has many endearing qualities I equate with southwest France. He is definitely a hands-on manager, and is intimately acquainted with work in the vineyard because he had done it all himself and is often out there with his workers. Nothing theoretical here! On Monday night, Denis invited me to taste his wines, and then to enjoy them at dinner. 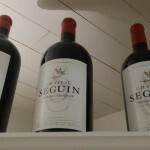 I sampled 2008, 9, 10, 11, and 12 Château Seguin. I had a preference for the 11, 09, and 08, but these are obviously wines that need to age. 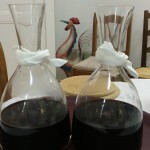 I should add that the 2010 had evolved nicely in the decanter by the next day. 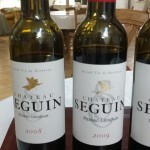 Denis also opened bottles of Seguin’s super cuvée, Confidences, from the 2006 and 2009 vintages. These are unfined and unfiltered and would wreak havoc in a blind tasting, especially the 2009, which is a world-class wine. 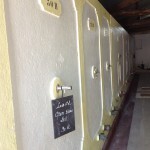 The first full day took me to four estates in the Graves: Ch. de Lionne, Ch. 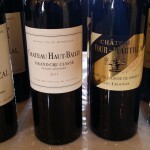 Ferrande, Château Magence, and Ch. Caillivet. As for Ch. 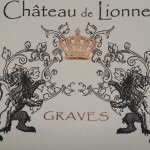 de Lionne, this is located in Mazères, near the southern tip of the Graves – which, in fact, extends further south than Sauternes, and even the other side of Langon. Ch. 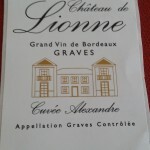 de Lionne has 36 hectares of vines on sand and gravel soil: 29 planted with red wine varieties and 8 with white. 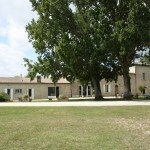 The estate is owned and managed by Véronique Smati. While she cannot exactly be defined as a lioness (lionne = female lion in French), Mme Smati is definitely a powerhouse, a maîtresse femme as the French say, who seems to do the work of several people! I was introduced to her in the fermentation cellar as she was discussing her 2014 white wines with her assistant and a consulting enologist. Like every other estate we visited, the white wine harvest had just finished and preparations were under way to receive the red wine grapes. Mme Smati showed me around and her assistant, Joanna Gousse, poured two wines to taste, a refreshing fruity 2012 white and a soft, upfront 2011 red with a plummy nose and sweet fruit on the palate. Both are for medium-term ageing. Palate: the taste has more character, but is a little weak on the middle palate. The finish is better, with a great lemony Graves flavour. 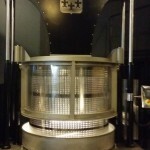 Palate: some body and weight here, going into an attractive dryness. Good commercial style. Very well-made. Palate: full and rich with flavours that follow on from the bouquet. 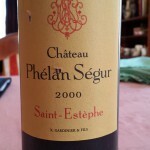 This wine was a little old-fashioned and stood out as being more akin to Pessac-Léognan than southern Graves. Lovely citrus/lemon overtones. Best wine of the tasting for me. Palate: smooth and seamless with good acidity on the aftertaste. 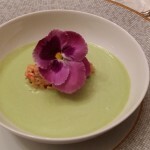 Some greenness with the fruit, but of the positive, rather than the underripe kind. A real crowd-pleaser. Slightly dry finish, but has good ageing potential. Palate: melts in the mouth and develops well, but the aftertaste is a little too dry and oaky. Will this change over time? Palate: too indeterminate. Starts out sweet and seductive, and then takes a different turn, showing too much oak and/or extraction. Palate: round, soft, silky, and forthright – a salt-of-the-earth kind of wine. Seems a little dry, with a touch of bitterness on the tail end, but fruit predominates. Palate: sweet and simple, but a little hollow. Slightly dry finish. Palate: much better impression on the palate. Big, sensual, plush, and melts in the mouth. The aftertaste shows some hardness, and a little less oak influence might have been in order here. Still, a good wine that will develop well over time. Palate: classy and tangy, with a tarry character. Oak has the upper hand, but this may come together more in a few years due to good acidity. Palate: sweet, soft, old-style, with good grip and a touch of bitterness on the aftertaste. Authentic, and reflects its terroir. Best with full-flavored food. 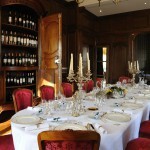 Lunch was at Château Magence in Saint-Pierre-de-Mons, where I was warmly welcomed by Jean d’Antras and his parents. This well-known estate has 39 hectares of vines (30 of red and 9 of white). We enjoyed the 2005 and 2001 red Magence at lunch and, since we had discussed Jean’s surprising experience with the 1985 white in the car, he kindly opened a bottle of this. 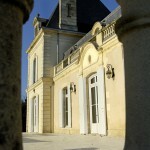 Dating from the early 18th century, the château itself is long and low, in the classic Girondin style. The living room is huge, with lovely furniture and even an ancient winepress! Madame d’Antras was née Guillot de Suduiraut, and her family were former owners of Suduiraut and Rayne Vigneau in Sauternes. I had heard of semi-precious stones found at the latter estate, and Mme d’Antras has a showcase of some polished gems found there. After Magence, I went to Château Caillivet in Mazères where I was looked after by Célia Carillo. She and her brother run the estate that was created ex nihlo in the 1970s by their grandparents, originally from Spain. 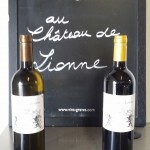 Antoine, a qualified enologist, was responsible for converting farmland to winegrowing and the first vintage dates from 2001 (and the first of white wine from 2011). The family came to the painful conclusion that due to retirement of one generation and inheritance taxes to be paid by the next, they would need to sell the estate. They did so in 2013 to Mr. Olivier Bourreau, an industrialist from the center of France, who takes an active interest in Caillivet and goes there often. Célia and her brother have nevertheless stayed on to manage things. Caillivet is set on a rise, with a lovely view of the surrounding countryside. The 2011 red caught my attention with a sweet, almost Pinot-like, slightly herbaceous nose and good vinosity. The 2013 white was brimming with upfront fruit. 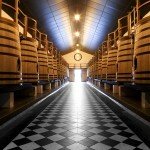 The château sells an impressive 70% of production directly to private customers. 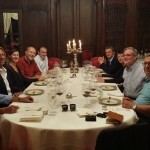 The evening ended with dinner at Château Pape Clément. There were 9 of us, including Wine Tourism Manager Alaïs Riglet (formerly at La Tour Carnet in the Médoc), representatives of the Graves and Pessac-Léognan winegrowers associations, Denis Darriet of Ch. Seguin, and Jean-Jacques Bonnie of Ch. Malartic-Lagravière. We toured the impressive cellars and then had an aperitif (2007 white Pape Clément) in a room resembling a museum with all sorts of religious artefacts, including an ornate chasuble on a wooden clothes horse! The dining room was just across the hall and we enjoyed a gourmet meal there in a relaxed, good-natured atmosphere despite the rather formal setting. I much appreciated the rare 1997 white Pape Clément and the red from the same year, with its tell-tale burnt earth aromas and fine quality despite the difficult year. I was also poured a glass of Ch. 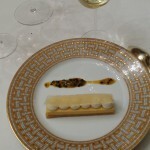 Clos Haut-Peyraguey (a wine I’ve always appreciated) with dessert. The unstoppable Bernard Magrez couldn’t be with us that evening because, at age 78, he was off promoting his wines elsewhere that evening. 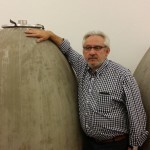 This lucky man has great growths in each Bordeaux appellation with a classification (La Tour Carnet in the Médoc, Pape Clément in the Graves, Fombrauge in Saint Emilion, and Clos Haut Peyraguey in Sauternes). Posted in Tasting notes on October 17, 2014 by AlexR.